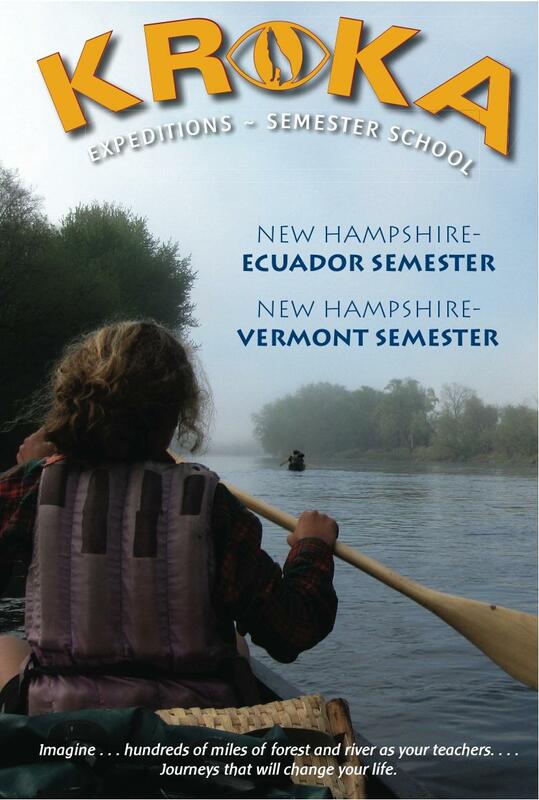 My new cover for KROKA Semester School, an outdoor adventure non-profit for teens that puts them in the wilderness for a whole school semester, is at the printers. I tried to capture the feel of the experience and keep the design classy as well. My “model” Melody, is poised with canoe paddle in hand (good form also, which is important to demonstrate), about to embark on the experience of a lifetime. Here is the cover. 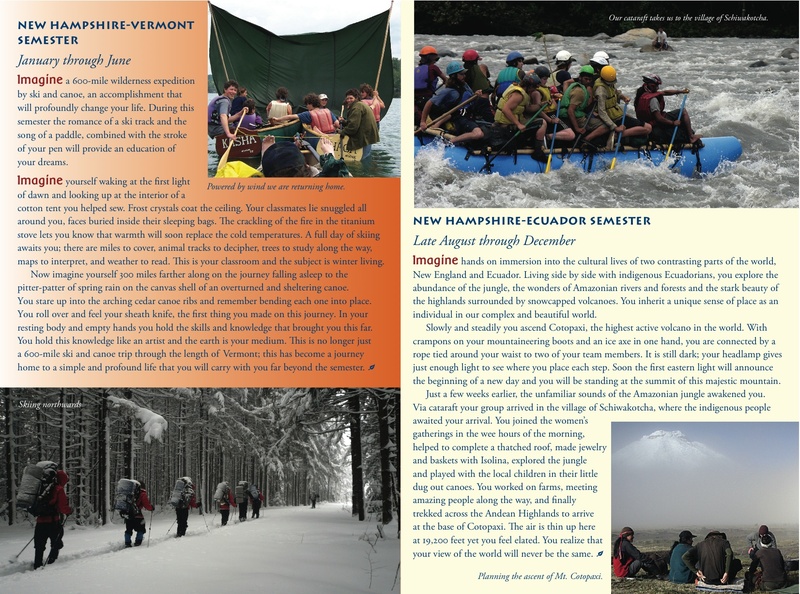 Here is the back cover (you can click on this image to view the front/back covers together), with an excellent mission statement. One thing that Carolyn (who works with dcdesign) and I love, is aligning our mission with that of other, like-minded, groups, be they corporations, publishers, or non-profits. If we all work together, we can create beautiful and sustainable publications that do not use any virgin timber, and also have a web presence that reflects that mission. I had the pleasure of working with Nathan Lyczak, director at Kroka, and Bahman Mahdavi at Webwerk on the website design and navigation, too. 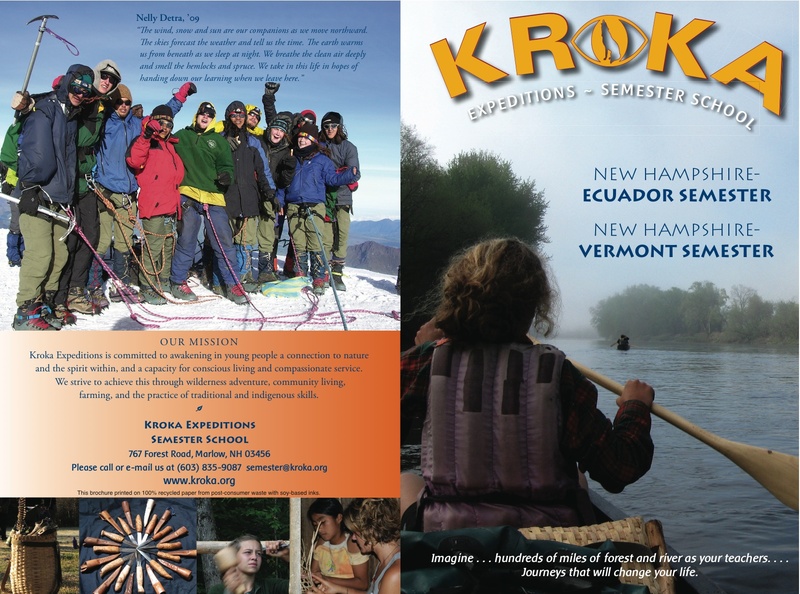 Our printer is Springfield Printing Corp in Springfield, Vermont, an FSC-certified printer, locally owned. And here is the inside. Editor: Lisl Hoefer, her assistant is Nate Johnson, who both contributed to the design process. All photography was done by students and teachers in the program. With thanks to the wonderful Mathias Dammer, whose photo of Cotopaxi is so beautiful, and best wishes for his speedy, and continued, recovery from his almost-deadly fall this summer.